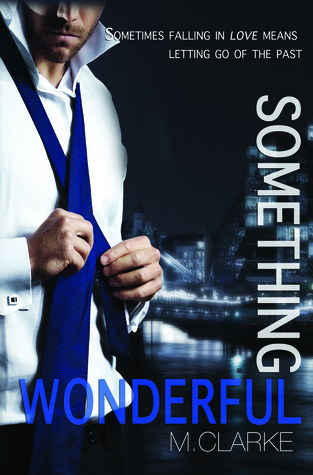 I really enjoyed Something Wonderful. When I started reading the prologue I had a feeling I was going to like Something Wonderful a little more than Something Great. Now I feel like this story is just going to keep getting better with each installment, exciting! It may just be because it's been a while since I read Something Great, but I feel like this book had a bit more emotion in it. That could also be because relationships are growing and character's are growing as well. One thing I did LOVE about this book is that it is written in multiple POV's, four of them. I think that maybe some people don't like trying to keep up up with the constant switching, but I love getting into everyone's head. First, I'll start with Jenna and Max since we've already met them and began their story. These two are too damn sweet. Max is a fantastic fictional boyfriend. Yes, he has a bit of a past, but doesn't everyone? Jenna is still a little closed off, or shy I guess would be a better word, but I think Max is helping her come out of her shell more and more. She doesn't have much relationship experience and she's pretty insecure. They both seem to be trying to feel each other out and not running from each other this time around. That doesn't mean that they don't have problems. When someone from Max's past tries to start some trouble, we get to see how both Max and Jenna handle the bump in the road. Mat is Maxwell's brother, and I think I may like him more than I do Max. He seems to be a little more confident, for lack of a better word. At the same time, something terrible happened in the past, so he hides his vulnerability behind a cocky exterior. I'm glad that M. Clarke didn't overdo the confidence, that generally turns me off of a character. Becky is Jenna's roommate. I liked Becky, but I feel like I didn't really get to know her character. She didn't seem to put a lot out there. I sometimes found myself wondering, “is she a strong woman? Or is she just weak when it comes to Mat?” I'm not sure, I just felt like her character needed more depth for me to get a grasp on who she actually was. I can't say for sure, because I'll have to read the next installment to find out, but I think that events in Mat and Becky's pasts are going to cause some future issues with these two. I wonder how their new relationship is going to handle it? I liked Something Great, I really liked Something Wonderful, and so I'm excited to see where else this goes in Something Forever. Unfortunately, we have to wait until August....sadface. But, I will be waiting, probably impatiently. If you don't mind multiple POV's, I think this would be a good read for anyone that likes a good story, and good romance.